Happy Tuesday friends! My MFA program is full of Sarah Dessen fanatics, which is a-okay with me. Seriously, I think like three or four of us (out of ten) decided to write our thesis papers on Sarah Dessen novels. It is fantastic to be able to be like “Oh my gosh he is such a Wes” to my friends and have everyone know what I mean. Anyways, here are some books I think fans of Sarah Dessen would appreciate. They are full of summery things, contemporary romance, and strong/relatable/interesting female protagonists. If you have any other suggestions for Dessen fans please pass them on in the comments! 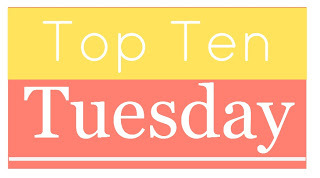 This entry was posted in top ten tuesday and tagged books, Sarah Dessen, Top 10 Tuesday, Top Ten Tuesday, YA by Alison Doherty. Bookmark the permalink. Oh my gosh, loved both of those. To All the Boys I’ve Loved Before is a particular favorite! I ADORED Everything Leads to You, so I completely agree there! Also, Anna, of course. I’ve never seen that cover though! My TTT! Great list! Second Chance Summer is one of my favorites! Ohhh great list! I loved To All The Boys I’ve Loved Before! Is Wildflower anything like Open Road Summer? I’m getting the sense it is from the cover and I really enjoyed Open Road Summer. Hi! I love Sarah Dessen so I want to read all of these that I haven’t. I love your list!